Is Buying an RV like Buying a Car? 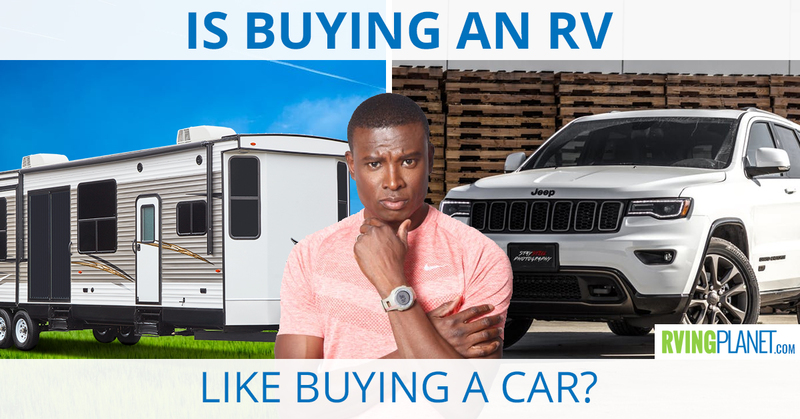 Is buying an RV like buying a car? Well, yes and no. That’s definitely the short answer, but allow me to elaborate more fully. Both are considered vehicles and must be registered as such (the only exception to this is truck, slide-in campers), but there are many differences as well. To answer simply and easily, here is a list of six steps that shows the process of buying a car versus buying an RV. Registration fees will vary widely from state to state. Some states have moved to a weight based fee system. If you’re in a state that does have this, you may be in for quite a bill, as RV weights can easily exceed 10,000 pounds. If this is the case for you, check out our Top 5 Best Travel Trailers Under 5,000 Pounds if you’re looking for something in that range. If you do plan to full time, you may wish to consider changing your state of residence. Three states seem to be quite popular among full timers – South Dakota, Texas, and Florida. Again, fees vary even among these states. Since these states are “full timer friendly”, I suggest you consult one of the full timer mail forwarding businesses. For example, Escapees in Texas, America’s Mailbox in South Dakota, and American Home Base in Florida can be VERY helpful with registrations and associated fees (feel free to reach out to me in the comments below for my personal favorite and why I opted for them!). Being able to negotiate a price with the dealer is another similarity between RVs and cars. As with cars, the used market is quite lucrative – as such, there is quite a bit of “room” for a dealer to come down off an asking price. I suggest you consult the NADA RV online service for a reasonable value for any used RV you’re considering as to know what kind of margin you are dealing with. If you plan to purchase a new RV, they often have MSRP retail prices that can be reduced 20 – 30%, where car dealers have much less room to move off the retail price. 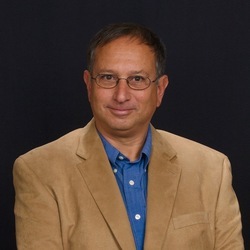 Realize that how much a dealer will discount is dependent upon several factors, including what his cost is (not all RVs have the same markup), how long the camper has been sitting on his lot, and even the time of year. Checkout our post on RV Price Negotiation Tips for additional help and ideas. Before you sign any paperwork on your new RV, be sure to THOROUGHLY inspect it. There is a MUCH greater “human factor” in the construction of a RV than there is in a car. As such, there is far more that can go wrong and may need adjustment before its truly ready to go. Remember, you’re paying for this RV. Even though it may seem like a hassle, you’ll be thanking yourself later for taking the extra precautions and making sure everything is perfect. If you plan on purchasing a used RV, consider using an RV Inspection Checklist. #4. Extended Service Contracts – Yay or Nay? There are also MANY more components that may fail down the road in an RV than in a car. Consider an RV to be a rolling earthquake that contains a refrigerator, hot water heater, a water pump, landing gear, slide outs, furnace, an air conditioner, and more. I strongly suggest considering an extended service contract for your RV. This is something you may not opt for on a car, but an RV is different! While looking, you do not have to buy the RV from the dealer who is selling it to you, you can always (and should always!) shop around first. You may get a better deal elsewhere, and not all extended service contracts are created equally. In my research, I’ve found one company that IS fair and DOES pay out on legitimate claims. A cursory read of some Facebook RV groups will reveal that not all extended service companies are as responsive as others. Check out my article Extended Warranties for RV’s – worth it? to get more helpful information on this topic. The lender (bank or credit union) is going to hold you to a higher credit score and profile. Where folks with a 600 credit score can regularly get a car loan, that same person may not qualify for an RV loan, and if they do, the interest rate will be very high. Generally, a score of 700 or higher, and a “clean” credit profile free of collections, bankruptcy and the like are going to get you a loan at a reasonable rate. What’s reasonable? As of now, the BEST rates I’m seeing are in the 4.5% range, and that mostly includes buyers with 800+ credit scores. Most folks are paying between 5.5 – 7.5%. There is good news here however. With a recreational loan, you can write off the interest (consult your accountant) as most campers are “self contained homes.” Additionally, you will likely get a long term of 10 to even 20 years. This acts to reduce your monthly payment. Those with good credit will also qualify for “0 down” – but be careful of doing this. In case you’re wondering, you can reduce the term of your loan (and the interest paid) by paying above the minimum (or paying a lump sum) at any time during the life of the loan, and there is no prepayment penalty. You do not want to pay off a loan too quickly however. If you pay it off in less than 6 months, you may find it can adversely affect your credit score! I mentioned earlier to avoid a “0 down” loan. There are two reasons for this. First, when you put down 10% (or more), the lender will likely give you a better rate. Second, since your first years on these loans pay down mostly interest and not principle, your balance due will not reduce much in the first 2-3 years. If you opt to trade in your camper in that time, you’ll likely find yourself upside down if you financed 100% of the camper when you purchased it. Checkout our post on RV Financing Tips for additional help and ideas. Lastly, what about used campers? From my experience, it’s often a great option. Few folks buy a camper and use it until it’s “seen better days” – a condition that is often the case with used cars. Instead, many folks buy a camper with the intent to use it often, but then life happens and it spends far more time sitting than the original buyer expected. Before they know it, five years has passed and the camper is still virtually new, but for whatever reason, they opt to sell it or trade it in. They take the depreciation hit (which is often steeper than with cars), and you gain by buying a lightly used camper that may have many years of good life left in it. If you’re considering buying a used RV, check out Should I buy a used RV and restore it myself? This video is extremely helpful when you’re on the fence about used RVs, especially if you’re maybe wanting to restore one (obviously one that needs to be restored!). That said, I still stand on my previous statement, that the used camper market is definitely different than the used car lot. If you found this article helpful in your search for an RV, and are looking for more, I have developed an entire series called How to Buy a RV that you can check out!